FieldEZ’s work order tracking software is tailored to support your business effectively and effortlessly. Has your field service manager ever faced a situation of understaffing or have had problems in deploying resources or keeping a track of the invoices raised? Do you think it has increased their work pressure and has overburdened them? You must be analyzing and thinking about ways in which you could help your employees sorting these issues at at the same time focus on increasing productivity at work. With our web application your field staff manager will now have the power to see and manage everything from raising a ticket, live tracking field staff to invoicing the customer for payments at one place and can access and manage work anytime, anywhere. FieldEZ’s order management software has an easy one-time set up to lighten your field service managers’ workload. FieldEZ’s web application has an intuitive process which makes configuring to your business effortlessly simple by managing operations and helping you to access and analyze reports and data. 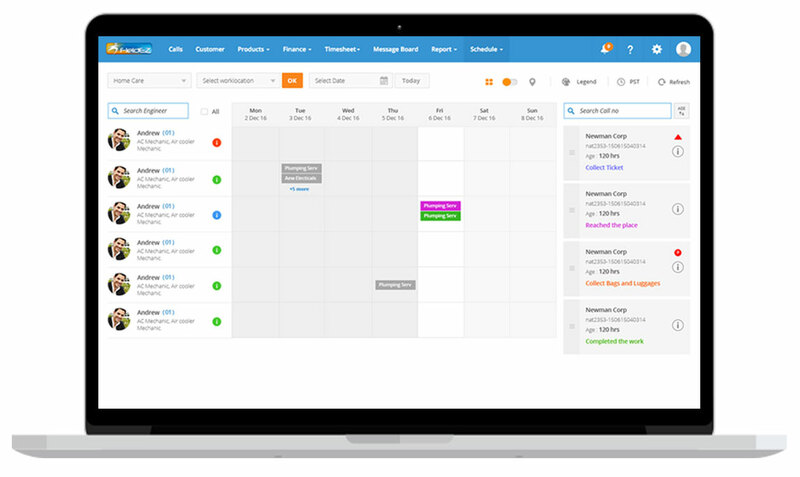 Our work order management software is contrived specially for field staff managers and admins. With a simple set-up and configuration process, you can create a customized dashboard designed to cater to your specific requirements. From creating work locations, adding new customers, deploying field staffs, to creating and scheduling a job ticket, FieldEZ’s web application is your manage it all software.This is a one-time business process set-up which can be easily implemented across your varied business and work locations. Now make your field staff managers’ life easy by giving them the power to manage all their roles in one place. You or your admin and field staff managers can manage roles and responsibilities, grant or deny permissions to users, and create invoice on the go. Our service work order software also helps in managing field staff attendance and leaves, sending out messages & notification, and analyzing data and reports of the various operational functions performed or can be downloaded as required. Your field service staffs are the face of your company. They are the ones who are in direct contact with your customers, from being assigned a job to delivering and servicing the customers in order to cater to all their requirements. Your field service staff are always on their toes to deliver the best to your customers. While your field staff is busy doing their job and delivering the best service to your customers, our mobile application help your field service staff to keep a track of all the nitty gritties they would need in order to close a job or a ticket and to keep a track on the next ticket or customer to service. FieldEZ’s mobile application helps them to work in a more informed and calculated manner. With our work order management software, you not only make life simpler for your field staff managers but also for your field service staffs. 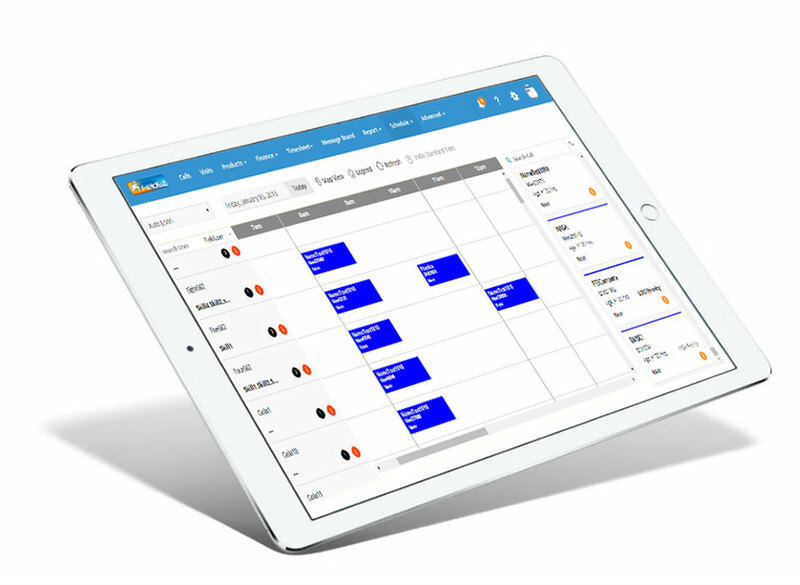 FieldEZ’s mobile application, the work order tracking software is specially designed to provide a seamless and organised work mechanism for your field service staffs by smooth application navigation and user dashboard settings. The mobile application navigation is a smooth and convenient process for your field staff to gauge and manage all their work tickets or calls efficiently. The field staffs can view newly generated and old or closed tickets and reschedule or reassign calls as per requirement. The field staff with the help of the application also add spare parts and/or services as required by the customers. With our maintenance work order software the process of keeping a track of all the closed calls, customer information in the call details page and call history becomes easy and hassle free for your field service staffs. FieldEZ’s mobile application has a dashboard section where the field service staffs can easily punch their attendance, request for leave, check messages and notifications received by the manager and manage their calendar. It is the go-to place for your field service staffs and is accessible to them on the move. While the application navigation feature helps your field staffs to keep themselves updated with their work schedule and duties, this dashboard helps your field staffs to keep a track on all their personal information. We know how difficult it is to please everyone at the same time and delivering everything readily and comfortably. With FieldEZ’s work order management software, we deliver to you a software which gives your organisation the right competency to service your customers effortlessly and keep your employees happy.